The debut short novels–nearly thirty years out of print– by the internationally acclaimed writer, newly retranslated and in one English-language volume for the first time, with a new introduction by the author. “There’s no such thing as a perfect piece of writing. Just as there’s no such thing as perfect despair.” So said a writer I bumped into back when I was a university student. I was a fan of this book right from the introduction. Early into my reading of “Hear the Wind Sing”, I had doubts about whether or not I’d be able to stick through due to his style of writing but I really grew to love it. In the introduction, he talks about how he learned to simplify his writing and his practice of writing, first, in English and then translating back into Japanese. Through this, Murakami says, he learned that one does not need many difficult words, complex grammatical structures, or elaborate passages to create an effective and great piece of writing. This section really resonated with me because of my experience as a foreign language learner both in high school and university. I was frequently hung up on being able to use the same eloquent and advanced language I was capable of in English when I already had a strong grasp of the Spanish language. Like Murakami, I started to write directly into the foreign language and quickly realized that my writing was just as effective when I simplified the ideas, vocabulary, and grammar. Another similar point he makes is that there is no perfect piece of writing. This is another facet of language that I’ve struggled with, both in English and Spanish. This simplicity is exactly what helped my fly through reading this book. The short passages, simple language, and effective changing of scenes made it really easy. It all flowed and at times it was like “watching” a movie (well reading the script would be more accurate I guess). Even the story was simple, it followed the daily lives and experiences of these guys. The whole ambiance of the story made me feel almost peaceful the entire time I was reading it. Some books make my heart race with fear, some break my heart, others make me feel all warm and fuzzy. This set of novels just left me feeling incredibly placid. I’ve been hit right in the feels a lot lately so this book was a nice change. The baseball fan part of me loved the constant references to the sport in the story. For me, this made the story feel even more day-to-day. Coming home and watching the game is the highlight of my days when I have the chance to do it. It was such a small part of the story but also something that I really, really loved. The characters in these two novels felt so real as well. They were flawed, happy, sad, sexual, and struggling, just to name a few. There was evidence of them going through and learning from things ‘real’ people do everyday. I always become more invested in a character I feel connected to and believe in. I also genuinely liked the majority of them which is also something that pulls me in to stories. I loved everything about this book; the way I felt while reading it, the simplicity of the story and the writing, the characters, the life lessons. 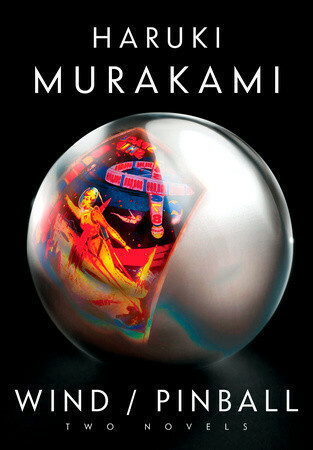 This was my first time reading work from Murakami but it definitely won’t be my last. I like your review style, Amanda. Very authentic :). Would love to feature your reviews in our weekly curated email digest that goes out to thousands of people.